Mobile modules are excellent tools to have in any shop floor or industrial workplace because of their ability to send measurement data to a base remotely. Instead of walking over to your base equipment every time you need to send a measurement, you can do it on the same place you are standing currently. With the convenience it provides, you can complete taking measurements within a shorter time span. As these tools are also wireless, you never have to worry about any shortage of wire or dealing with a mess afterwards. At Willrich Precision, you can find the latest selections of mobile modules that provide unmatched durability, reliability, and function. Willrich Precision Instrument has been in business for many years and our extensive network of resources include close knitted partnerships with some of the top brands in the gaging, inspection and metrology industry. Our staff members are very knowledgeable in a wide variety of fields so they can be a great help for product comparisons. 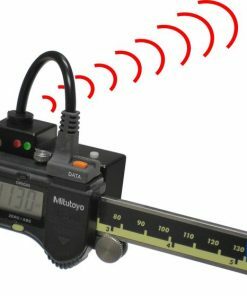 If you are shopping online for Mobile Modules that can help you turn any gage into wireless data collection, you can always expect the best products and service from us. We do not like to keep our clients waiting, thus we always contactable via phone at 866-945-5742 or email at sales@willrich.com.